Blockchain Technology goes much further than the idea of transferring money. Its ability to adapt to nearly every type of industry and be used in a myriad of ways is a whole new phenomenon that everyone should be trying to understand. It is something that will eventually affect each and every one of us, so we need to understand what’s really happening with Blockchain Technology so we can decide where we stand on the debate. Download this audiobook now, so you can begin to understand just how much our world is about to change and prepare for this next step into a whole new and modern world where the power is put into the hands of the people. Bitcoin, Ethereum, and LiteCoin are beginning to become household names. The world of cryptocurrency is quickly changing and having the ability to keep up can make it easier to join the market and even make some money. It is not uncommon for people to jump on this network to complete various transactions and to keep their money safe. But one of the best things that you can do when it comes to digital currencies is use them as an investment. Investing in digital currencies can be a great way for you to make some money especially with how quickly their value is rising. When you are ready to put your money to work for you, make sure to check out this guide and get all the advice that you need to be successful. The best seller for Investment of all times. I just loved it listening and learning the concepts of investment. This book covers all the basics for investing. 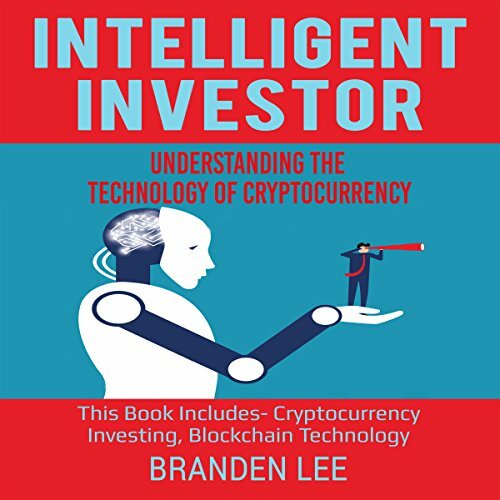 There is a lot of information packed in this small book and I will recommend it to any future investor. Starting here will save you a lot of money in the long run. Good for those interested in investing in stocks and shares but no talks about other forms of investments. "his book has walked me through the beginning stages of my journey buying my first few shares. The lessons taught are of huge value even in today's modern age!! I would strongly suggest this book to anyone looking to become an investor!" So far into my career, this book has un-ironically been one the greatest investments I have made so far. This book was definitely a lot to digest and should be listen and again listen over time to reinforce and imprint the message. Commenting on a work of genius is not easy and it should be done with extreme care, if at all. Someone like Buffet might have succeeded here. The Intelligent Investor doesn't really go into that much detail about how to actually invest it just lays down a general framework and philosophy for making investment decisions. Very interesting book. Gave lots of good ideas and general thought process about investing. A little outdated language, but overall very good!